You can earn 33 yards with this purchase! 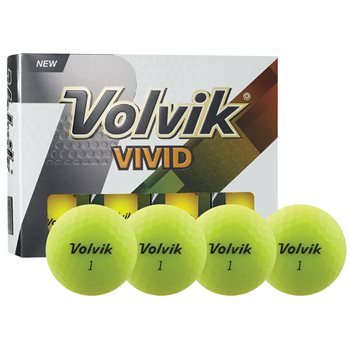 The Volvik Vivid golf ball is the world’s first and best selling matte finish golf ball. The Vivid ball features a new larger core for more distance and an improved Ionomer cover for greater durability. The unique SF matte coating provides aerodynamic consistency and higher trajectory while the highly resilient Power Core delivers ultimate distance with softer feel and greater energy transfer. The matte finish offers less glare for higher visibility, ball striking, and focus.